After more than 2 months running my own dental practice,I have had the privilege to know many different people. My various dental suppliers have become friends to us at iSmile.We have also had patients who came and after having their dental treatment done,referred their family and friends to us. We took the opportunity during this durian season,to hold a durian party for the various people we wanted to appreciate. 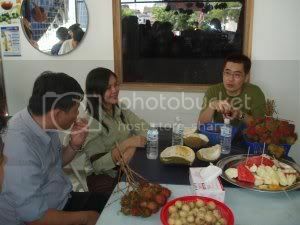 We had other fruits as well,as some were not exactly mad about durian as others. 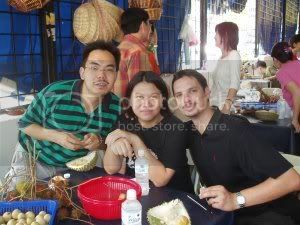 There was mangosteen,rambutan,jackfruit,duku langsat,watermelon and honeydew.Quite a fruit feast! 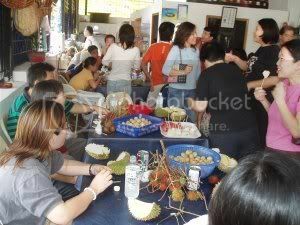 Those who love durians were full of ” mmm”s and “aaah”s when savouring the fruits. 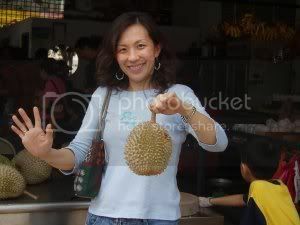 We had D2,D24 and Mau Sang Wong.Those are the various species of durian that we had.The amazing thing about durians is that every fruit has its distinct taste and flavour.